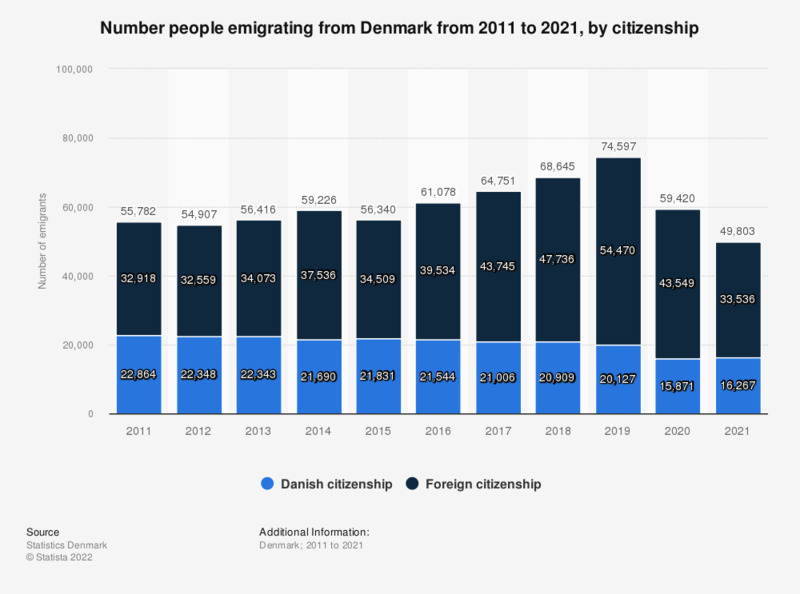 This statistic shows emigration from Denmark over the years from 2008 to 2018. Migration out of the country has been fluctuating in this time period, but overall it has been declining. In 2018, there were nearly 21 thousand Danish emigrants. Emigrants are defined as people, who travel abroad and give up their residence in the country. Moving from Denmark to the Faroe Islands and Greenland is also included.